In the minds of golf fans, there are always some amazing courses where they have never been. Those course are of incredible difficulty and combined human beings perfectly with nature, and some of them can even move! Now Voogolf will show you five of these courses make golfers love to the bones. And of this five, which have you been? Here you can find the longest course in the world—1,365 kilometers with 18 holes. Locating on the boundless and plain Nullarbor Plain, it was surrounded by splendid landscape and jumping kangaroos. 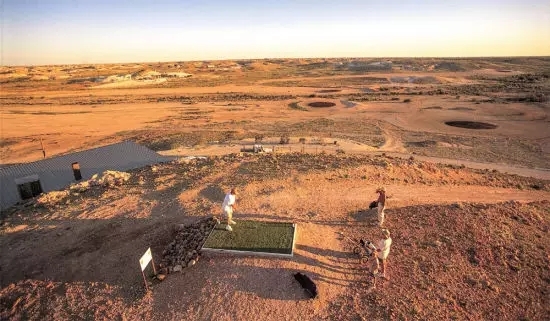 It spans two time zones and continents 66-kilometers average distance between two successive holes, and the two furthest holes are nearly 200 meters apart. If you want to finish this course, you need prepare three days or even a-week time. This is a remote and mysterious course. Besides challenge your golf skills, it is more a place for experiencing exotic charm. Most time of the year, fairways of LaPaz are floating on the clouds and greens covered by snow. 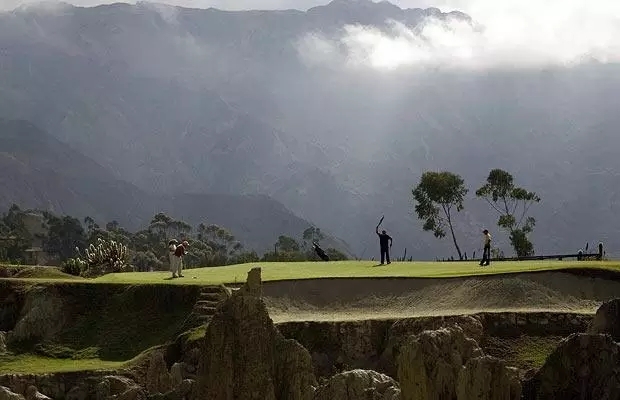 What lacks there may be Oxygen but not altitude—the 10800-feet-high course are attracting floods of local elites and brave golf heroes around the world. Originally built in 1912, LaPaz is the best 18-hole course in Bolivia as well as the optimal place to challenge your body performance. The scenery there is breathtaking—it faces a plain in west, a hill in southeast, a tropic valley in east, the edge of Amazon River in north, and The LaPaz River flow elegantly through. On one side you can glance the thawing snow covering on huge rocks while the other side provides you the sight of tropical rainforest—which is almost a dreamland. Locating in South Australia which is essentially a dry land, Opal Fields is in a severe desert climate. Most of time the temperature is over 40℃ and local residence is dominated by miners living underground to escape from the heat. 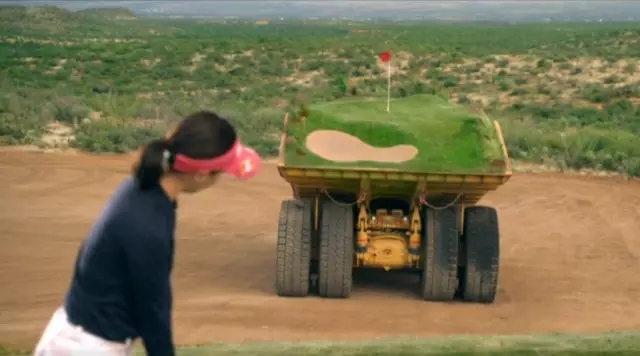 Lacking of water and soil, there is no little grass in all the 18 holes, which make it a truly “desert course”, or we can call it “mine land course”. The sand on green have been mingled with oil to prevent being blown away. 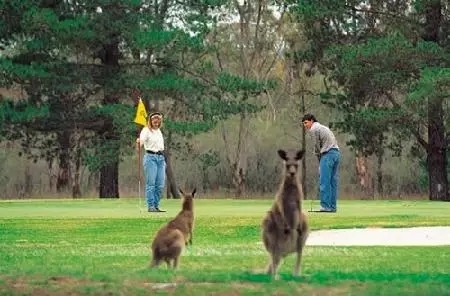 Maybe it would be like golfing on the Mars! 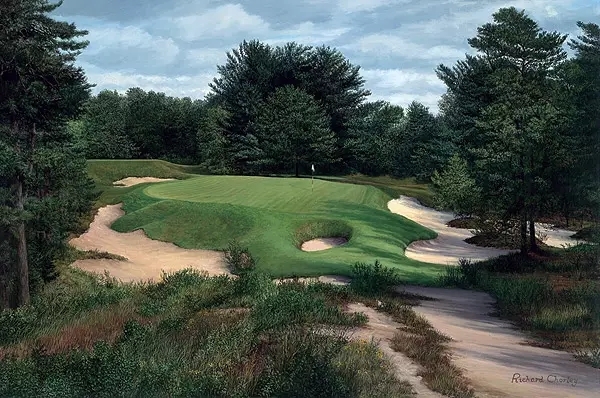 In Pine Valley Golf Club, the tee time of future 20 years have all been booked up. Located in a valley of New Jersey and surrounded by pinewood, it has just been rated as the best course in the world. What?! Mobile course?! Yeah, you heard that right! In Arizona’s Caterpillar Tinaja Hills Training Center, there is a course made up by several cats. Guess you never heard of it! So pathetic the course above are when being compared with it!